Natal ([naˈtaw], "Christmas") is the capital and largest city of the state Rio Grande do Norte, located in northeastern Brazil. According to IBGE's July 2014 report, the city had a total population of 862,044, while Greater Natal had 1,485,505 inhabitants. The implementation of the Via Costeira (Coastal Highway), 10 km (6.2 miles) long avenue along the shore and the dunes, was the true starting point for the beginning of tourist activity in the State in the 1980s. The main hotels are concentrated along Via Costeira. Natal has several tourist attractions and is famous for its natural beauty (such as the crystalline waters of Maracajaú and the largest cashew tree in the world), for its historical monuments and buildings (e.g. Forte dos Reis Magos, the Alberto Maranhão Theatre and Newton Navarro Bridge), for its beaches (such as Ponta Negra, Pipa and Genipabu) and also for its off-season carnival, the Carnatal. The city also boasts the second largest urban park in Brazil, the Natal Dunes State Park. It is the closest state capital of Brazil to Africa and Europe. The Greater Natal International Airport connects Natal with many Brazilian cities and also operates some international flights. The city was one of the host cities of the 2014 FIFA World Cup. The northeastern tip of South America, Cape São Roque, 20 miles (32 km) to the north of Natal and the closest point to Europe from Latin America, was first visited by European navigators in 1501, in the 1501–1502 Portuguese expedition led by Amerigo Vespucci, who named the spot after the saint of the day. For decades thereafter, no permanent European settlement was established in the area, inhabited by the Potiguar tribe. In 1597, after some years during which French pirates, led by Jacques Riffault, established regular commercial activities with the native population, the ninth Portuguese Governor-General of Brazil, Francisco de Sousa, ordered the expulsion of the buccaneers. The successful expedition against 50 Frenchmen and their amerindian allies was led by the Captain-Major of the Captaincy of Pernambuco, Manuel de Mascarenhas Homem, with the assistance of Jerônimo de Albuquerque Maranhão. Albuquerque Maranhão began on January 6, 1598, the construction of the Fort of the Holy Kings or of the Magi-Kings ("Forte dos Santos Reis" or "Forte dos Reis Magos"), named after the Three Wise Men, honored in the Christian feast of the Epiphany, celebrated on that day. Natal (which translates to "Nativity" or "Christmas" in Portuguese) was founded on December 25, 1599, giving the village outside the fort the modern name of the city. The fort, city, and surrounding areas were occupied by Dutch forces from 1633 to 1654. They rechristened the fort "Fort Ceulen" after one of their commanders. The sandy soil of Natal prevented the city from becoming a producer of sugarcane during the colonial times. For centuries, the economy of the state was based on the raising of cattle in the dry interior lands. Cattle were sent alive to the larger centers, to be used as traction, or were turned into jerked beef, for food; the most typical food of Natal, "carne de sol" (sun meat), has origins in that jerked beef. In the last century, Natal benefited from the growth of the salt industries (the north of Rio Grande do Norte is the largest producer in Brazil) and petroleum (the largest inland Brazilian reserves are in the State). Natal grew quickly, but in a somewhat planned way (compared to other major Brazilian cities). Tourists (first Brazilians, more recently foreigners) discovered the city, which became one of the major tourist destinations in Brazil. Because of its strategic position (Natal is one of the cities in Brazil nearest to Western Europe and Africa, especially Dakar, Senegal), an American air base was built in a suburb of Natal named Parnamirim during World War II, as part of the so-called Operation Rainbow. This base provided support for allied troops fighting in north Africa. Thousands of American soldiers were sent to Natal. Their presence left traces in the culture of the city. The city also held the Potenji Conference, which took place right after the Casablanca Conference and defined the active participation of Brazil in the war, being the only Latin American country to send troops overseas to fight in Europe. Natal is located at 5°46′S 35°12′W, in the far east of South America. The city has a total area of 170 square kilometres (66 sq mi). Natal lies on the Atlantic Ocean, at the mouth of the Potengi River. Natal has a typical tropical climate, specifically a tropical wet and dry climate, with warm to hot temperatures and high relative humidity all throughout the year. However, these conditions are relieved by a near absence of extreme temperatures and pleasant trade winds blowing from the ocean. February is the warmest month, with mean maxima of 31 °C (88 °F) and minima of 24 °C (75 °F), while July is the coolest with mean maxima of 28 °C (82 °F) and minima of 21 °C (69 °F). Rainfall is heavy at around 1,465 millimetres (58 in) per year, but there is a dry season between about September and January that is more distinct than further south on the Atlantic coast. Nonetheless, the weather is not so dry as to preclude the growth of tropical rainforest and, since colonisation by Portugal, sugar cane. According to the IBGE of July 2013, there were 862,044 people residing in the city, and 1,485,405 people residing in the Greater Natal (metropolitan area). This is the second smallest capital the country in territorial extension, therefore, the population density is high, 4,638 inhabitants per square kilometre (12,010/sq mi). It is the 21st-largest city in the country and the sixth largest in the northeastern region. The racial makeup of the city was 48.38% Pardo (Multiracial), 46.99% White, 3.65% Black, 0.30% Asian or Amerindian. With its dozens of sandy, white beaches, such as Ponta Negra and its famous Morro do Careca, Tabatinga - the cliff of dolphins, Pirangi, Redinha, Pipa and Genipabu with its famous fixed sand dunes and imported dromedaries, tourism is the most important industry of Natal, attracting Brazilians, Europeans (many from Spain, England, Scandinavia, Germany, Portugal, Italy and France), and U.S. citizens alike. There has been an increase of 134% in foreign tourism in Natal between 2002 and 2005 (for the same time period the increase of foreign tourism in Brazil was 48%); This is a due to the accessibility of Natal and the appeal Brazil has for an increasing number of tourists, clearly showing that Natal is the area leading the Brazilian tourism boom. 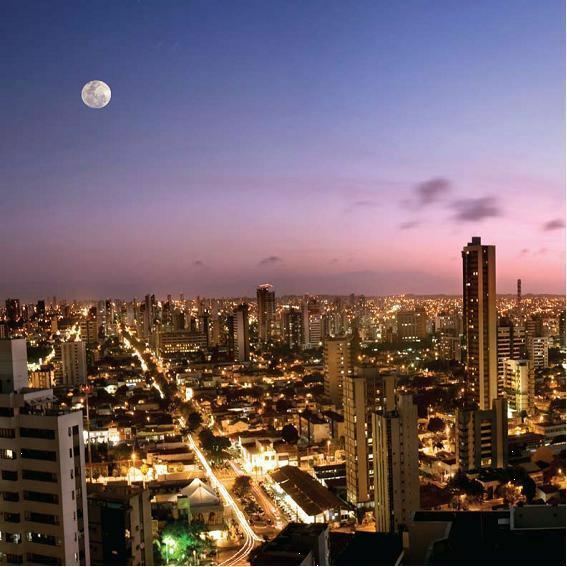 Natal is the number one area receiving international investments in Brazil. Natal will benefit enormously from the massive future investments on the coastline. Within the next five years more than ten golf courses will be developed on the Natal coastline and more than $1.8 billion will be invested in new hotels, resorts and improving infrastructure (the equivalent to 8% of all foreign investments that the entire Brazilian economy received last year). Due to the booming tourism and enormous potential for further growth, the local government has decided to build a new airport in Natal which will be the biggest airport in South America (8th biggest in the world). The airport will be specifically designed to be able to cater for the new Airbus A-380, which will further confirm Natal's position as the number one tourist destination in Brazil. Thompson Holidays started direct charter flights to Brazil in early 2006, and to no surprise the chosen destination was Natal. Being the Number one beach tourism area and a symbol of the Northeastern Brazil, Natal will benefit enormously from future domestic economic growth and increasing spending powers of the Brazilian population (180 million). Last year, 2.8 million visited Natal (for the same period, 345,000 foreigners visited Natal). It is also a relevant administrative center for the oil industry (Rio Grande do Norte being the second largest oil-producing state in Brazil). Thus, its Federal University of Rio Grande do Norte (UFRN) is a national scientific research pole on Oil Sciences (ranging from Geophysical to Law studies), supported mostly by Petrobras financing. The fishing industry is strong (shark cartilage being a major export to Japan) as is the cultivation of tropical fruit, especially mangos, guavas, and cashews (the fruit and the nuts). In fact, the largest cashew tree in the world is located near the coast in the neighborhood of Pirangi, south of the city center. This tree has a circumference of 500 metres and occupies an area of 7,300 m², making it 70 times the size of average cashew trees. The GDP for the city was R$7,508,466,000 (2006). The per capita income for the city was R$9,506 (2006). Portuguese language is the official national language, and thus the primary language taught in schools. But English and Spanish are part of the official high school curriculum. There are more than 15 universities in whole state of Rio Grande do Norte. The Natal Dunes State Park is considered the second largest urban park in Brazil. It includes 1,172 hectares of land, and allows observation of several vegetal and animal species, which are typical of the Atlantic Forest. The tour is along a trail, accompanied by trained guides. The park also has a jogging track, and stays open for visitors from Tuesday to Sunday. Museums in Natal include: Museu de Arte Sacra, Museu de Cultura Popular, Espaço Cultural Palácio Potengi, Instituto Histórico e Geográfico do Rio Grande do Norte, Pinacoteca do Rio Grande do Norte, Museum Camara Cascudo, Memorial Camara Cascudo. The Natal Aquarium was founded and is run by a family of biologists and retired environmentalists. Besides the exhibit, the aquarium also serves as a surgery center for sea animals. The Aquarium is located between the Oceânica Avenue and the beach. The Aquarium exhibits about 60 marine species. There are about 30 small aquariums, where the species are put individually or in small groups of two or three species. Most species were collected at the Brazilian and Rio Grande do Norte coast. Species include several kinds of fish (including piranhas), sea horses, shrimps, lobsters, stingrays, octopus, etc. In a refrigerated aquarium, there is a couple of penguins. The Maior cajueiro do mundo is the biggest cashew tree in the world. In 1994, it entered the Guinness book as the tree which covers the largest area, 8,400 square meters; larger than a typical football pitch. Due to a genetic mutation, the branches of this tree grow outwards rather than upwards; thus when a branch touches the ground, roots are not created, rather a new ramification starts to grow. There is even a gazebo located in the cashew, a popular attraction among tourists. Forte dos Reis Magos or Fortaleza dos Reis Magos is a medieval fortress that was the first milestone of the city – founded on 25 December 1599 – on the right side of the bar of the river Potenji (today near the Ponte Newton Navarro). It received its name based on the date of commencement of its construction, 6 January 1598, at Epiphany Catholic calendar. The Natal City Park Dom Nivaldo Monte, or simply the City Park is an urban park. Inaugurated on July 21, 2008 with architectural project of Oscar Niemeyer. It has a unique, monumental tower, and has a museum and restaurant. As of January 2011, the entire park is closed due to lack of funding from the city. Festa Junina was introduced to Northeastern Brazil by the Portuguese for whom St John's day (also celebrated as Midsummer Day in several European countries), on the 24th of June, is one of the oldest and most popular celebrations of the year. Differently from what happens on the European Midsummer Day, the festivities in Brazil do not take place during the summer solstice but during the tropical winter solstice. The festivities traditionally begin after the 12th of June, on the eve of St Anthony's day, and last until the 29th, which is Saint Peter's day. During these fifteen days, there are bonfires, fireworks, and folk dancing in the streets. Typical foods and beverages are served. It should be noted that, as during Carnival, these festivities involve wearing costumes (in this case, peasant costumes), dancing, heavy drinking, and visual spectacles (fireworks display and folk dancing). Similar to what happens on Midsummer and St John's Day in Europe, bonfires are a central part of these festivities in Brazil. Festa Junina in other cities of the state, especially in the city of Mossoró which gathers thousands of people during the month of June. The Newton Navarro bridge is one of the highest bridges in Brazil and has over a gorgeous sunset seen from Potengi River. It makes the connection with the beaches of the north coast of the state. In addition to unburden the city traffic, the bridge became a tourist attraction because of its large size. The Natal Historic Center it comprises an area of approximately 201,278 m2 (2,166,538.36 sq ft), which are included 150 buildings of various styles, including colonial architecture, neoclassical, art-deco and modernist. This area comprises the districts of Ribeira and Cidade Alta, which are the oldest neighborhoods of the city, which have characteristics of the first centuries of the history of Brazil, highlighting important aspects of Portuguese colonization. The Barreira do Inferno Launch Center is the first base to launch rockets from Brazil. With the construction of another center in Brazil, today, it only launches rockets, small and medium businesses and is open to visitation of tourists to know the rockets, but must make an appointment to visit the center. The Parrachos de Maracajaú of coral reefs are the seven kilometers (4.3 miles) of beach in Maracajaú, forming natural pools. Occupy an area of 13 km (8 mi), excellent for snorkeling in the coral diving underwater that, at low tide, touch the surface. It is one of the places in Brazil where the sea is the most crystalline and suitable for diving. The beach of Maracajaú is 60 km (37 mi) from Natal. In Maracajaú also a water park, the Ma-Noa Park. Genipabu (or Jenipabu) is a beach, a complex of dunes, a lagoon and an area of environmental protection (APA) located in Natal capital city, one of the most famous post-cards of the Brazilian state Rio Grande do Norte. It is a huge dunes and a lagoon of fresh water, with strong attraction for tourism. The region has a good infrastructure of hotels, inns, restaurants, beach tents, tours of "buggies", rafts and dromedaries. It is played in the dunes around the lake called "esquibunda" stakeholders sit down the dunes on top of planks of wood, to dive in the waters of the lagoon. The tours of "buggies" are offered in the local "with emotion" or "no emotion", according to the degree of risk, it is recommended, however, are chosen accredited professionals responsible for security not only of tourists, but the middle - environment. Ponta Negra is a famous beach and a neighborhood located in the Brazilian city of Natal in the state of Rio Grande do Norte. 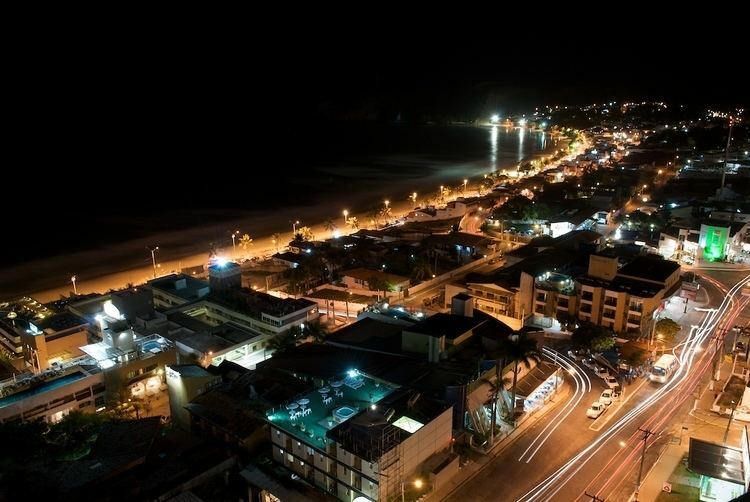 In the extreme south of the beach, is located in Morro do Careca (Bald Hill), a large dune. The extreme north of the beach, is located at Via Costeira (Coastal Way), a road in the middle of coastal dunes that connect the various beaches of the city. The beach is completely urbanized and there are several points shops, restaurants, bars and night clubs. The sand itself is lined with "tents", or huts, that serve food and drinks to beachgoers day and night. 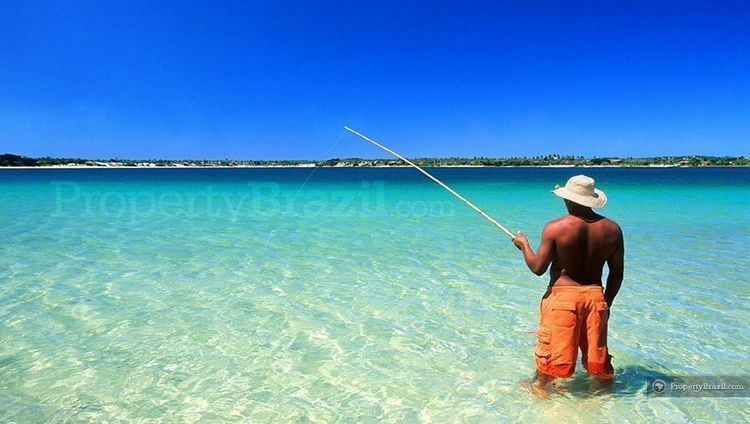 A common sight on the beach are "jangadas", simple, multicolored, local fishing boats typical of northeastern Brazil. The Via Costeira (Coastal Way) is a great avenue built next to the dunes and beaches of the city, including making the connection of several beaches in the state. The Pipa Beach is located 85 kilometres (53 miles) from Natal and completely away from urban centers. Paradise a beach that attract thousands of tourists every year. As Natal means Christmas in Portuguese, possibly in December are some attractions such as concerts, plays, meeting writers and the traditional burning of fires, and the city be decorated with Christmas purposes. Cape São Roque, point of the Brazilian coast close of Africa. Calcanhar Lighthouse, the highest lighthouse in Brazil. Carnival in Natal, known as "Carnatal", is one of the largest off-season carnivals in Brazil. Carnatal takes place sometime in November or December, in the streets around Machadão Stadium (traffic around the stadium changes radically during Carnatal days). The transit department isolates about 3 kilometres (2 miles) of streets, creating a ring, along which the party takes place. During the days of party, a huge truck (called "trio elétrico"), with a band on the top and sound boxes all around, drives slowly along the streets. The crowd follows the trio elétrico singing, dancing, jumping to the sound of the music. Natal is also home to the "Mada", a national festival of pop rock national, and the "Verão de Todos", a summer festival. Federal Highway BR-101 is the most important access to Natal, coming from the South of Brazil, through the boundary with the municipality of Parnamirim. For those who come from the State of Ceará, the principle access is by the Federal Highway BR-304, through the boundary with the municipality of Macaíba, where you pick up BR-226 taking people to Natal. Leaving Natal, an important access to the southern Potiguar coast is the "Sun Route" (Rota do Sol) as RN-063 is known by, and which takes you to the beaches of Pirangi, Búzios, Tabatinga, up to the municipality of Nísia Floresta. The North Shore is accessible from the Newton Navarro bridge, following the Praia do Forte to Genipabu, and the Igapó Bridge, following the district of Igapó by BR-101 to Touros, and by BR-406 to Macau. Natal is connected to all the 167 municipalities of Rio Grande do Norte and dozens of locations and Potiguar districts, through the Passenger Bus Terminal of Natal (Terminal Rodoviário de Passageiros de Natal), located in the Eastern Zone of the city. All the accesses to the countryside of the state are through the Metropolitan region of Natal, composed of the municipalities of Ceará-Mirim, Emaús, Extremoz, Macaíba, Monte Alegre, Nísia Floresta, Parnamirim e São Gonçalo do Amarante. Buses with direct destinations to various Brazilian capitals also leave from the Passenger Bus Terminal of Natal. The cities with regular weekly schedules are: Belo Horizonte, Fortaleza, Goiânia, João Pessoa, Palmas, Recife, Salvador, São Luiz e Teresina. Buses are the cheapest way to move around Natal. Passes or magnetic cards can be purchased beforehand, but it is easiest to pay the conductor. There are large buses, micro buses and vans, driving along the same streets, charging the same fares. All the main touristic spots within Natal are well served by buses. People may expect to travel standing up on the big buses (not so with micros and vans). Typical waiting time is 15 min during the peak hours, up to one hour. There are plenty of taxis in the city. Taxis are white cars and have a red plate. Fares are the same, regardless of how new and comfortable the car is. Fares are regulated by the government. The normal prices are: US$2 to start metering, US$1 per km and US$5 per waiting hour. The only exception to these prices are the so-called special taxis at the airport. From 10:00 pm to 6:00 am at weekdays, and all hours at weekends (and, depending on a decree by the mayor, all times during the month of December), there is a 20% increase in the above prices, this is indicated by a number 2 showing in the fare meter. There are several tele-taxis companies in Natal. Porto Alegre: 4,320 km (2,684 mi). Natal is one of the host cities of the 2014 FIFA World Cup, for which Brazil is the host nation. The Dunas Arena is being built in place of the now demolished Machadão stadium. It is building a new airport, Greater Natal International Airport, to be the largest airport in Latin America. It is also investing in a public transport system using the system of light rail called VLT de Natal, and other projects of infrastructure. David Beckham has announced plans for a football academy in Natal, called the Beckham World of Sport, to coincide with the 2014 FIFA World Cup. Natal will be the first Brazilian city to host a World Maxibasketball Championship. The 11th World Maxibasketball Championship will occur in July 2011, winning among the cities which also wanted to host the event: Punta del Este in Uruguay; Vancouver in Canada and Eugene in the United States. The facilities of the modern Nélio Dias gymnasium should be used to house the event that will bring to the capital of Rio Grande do Norte about 3,500 athletes from around the world. Natalenses, as residents of Natal are called in Brazil.